Unfortunately, it remains part of Canada's culture of philanthropy to think charities should spend all their money directly on programs and that "administrative" spending is wrong and should be discouraged. There's a double standard, with different expectations of businesses than of charities when it comes to investing internally. Bruce Dewar LIFT invests in building the capacity, sustainability and impact of non-profits, charities and social enterprises. It's almost GivingTuesday; a Canadian movement of giving and volunteering that takes place after Cyber Monday. As you think about making a charitable donation on December 1st, ask yourself how charity has changed, or more importantly, how the dollars you've donated over the years have made a difference. 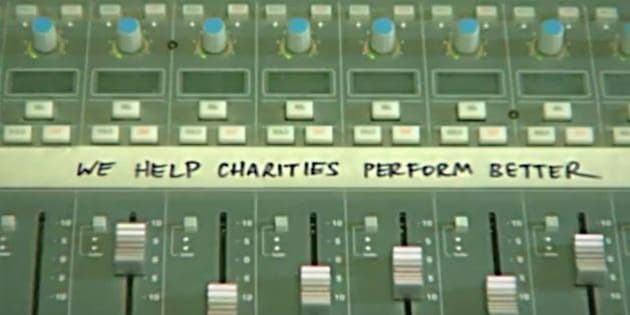 It's amusing to think back to the rise of "charity rock" in the 1980s and how much has changed since then. Do you remember all the super groups that formed and released mega hits in the 80s as pop culture's response to the devastating images emerging from the Ethiopian famine? In the UK, Bob Geldof led the way with the 1984 Band Aid video, "Do They Know It's Christmas?" featuring Simon Le Bon, Bono, Paul Young, George Michael, and a short appearance by the women from Bananarama. It became the fastest selling single in UK chart history, selling over a million copies in the first week alone and raising $24-million for famine relief. The Band Aid success formula was repeated in the United States when stars like Bruce Springsteen, Michael Jackson and Stevie Wonder came together in 1985 to release the global mega hit, "We Are The World" which went on to raise $63-million for humanitarian aid in Africa. Even Canadian rockers got in on the trend that year when Northern Lights released, "Tears Are Not Enough", featuring Bryan Adams, Neil Young, Corey Hart, Loverboy's Mike Reno, and many others. Since then however, public opinion on the appropriateness, effectiveness and optics of these songs has varied significantly. The 'charity rock' movement was criticized by some as a patronizing approach that used condescending and stereotypical depictions of Africa. Similarly problematic was the idea that effective charitable giving is simply a matter of throwing money at a cause and standing back expectantly, hoping for change. What's frustrating for those of us working in or with the charitable sector is that it sometimes seems like we're still stuck in a 1980s time warp. In the years since those mega hits were released, we've learned we can't just sing these issues away. Social inequalities are unbelievably complex. We need to roll up our sleeves and be more intentional about how we approach the fundamental and systematic problems facing society. Yet in the charitable sector, too many donors inherently force charities to stay stuck in the 1980s: they throw money at an issue, but don't empower the organizations to modernize in a way that would enable them to get to the root causes of the issues. Unfortunately, it remains part of Canada's culture of philanthropy to think charities should spend all their money directly on programs and that "administrative" spending is wrong and should be discouraged. There's a double standard, with different expectations of businesses than of charities when it comes to investing internally in tools, systems, plans and people that enable them to optimize their impact and to grow. We need to change this thinking. Right now, charities know donors fixate on overhead costs. If they want to attract financial support, they simply can't afford to invest in their staff, or the tools, strategic planning, marketing and other things that will help them to be more efficient, effective and sustainable in the long run. It's understandable that donors want their dollars to go directly to the causes that move them. However, this shortsighted thinking ultimately undermines a charities' ability to have the level of impact both they and their donors strive for on the people, communities or causes they support. Instead of worrying about how charities spend their money, donors should be holding the organizations accountable for the results they achieve, just as they would a business they invest in. When charities invest in themselves, they become more efficient, they can plan for growth, and ultimately they can help more people in need. The private sector understands the return on investing in capacity; that's why successful companies actively invest in the activities above to improve their bottom lines. The 2014 Forbes Corporate Learning Factbook found that U.S. spending on corporate training grew by more than 15 per cent last year to over $70 billion. The number one area for spending was on management and leadership training. It's time now to empower charities to build their expertise too, so that they can deliver greater results. It's time for you as the donor to be smarter about your philanthropic investments.